Fry (sliced or pounded) onions and ginger until golden brown. 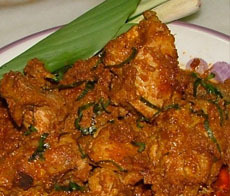 Add MAK SITI curry powder paste, mix well and fry until fragrant. Add meat/chicken and leave on low beat, stirring occasionally, until the meat/chicken is half-cooked. Add coconut milk and potatoes, leave on low heat until cooked. Add salt to taste. 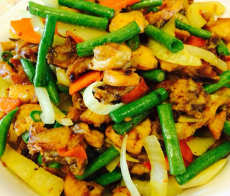 Fry (sliced or pounded) onions in cooking oil with ginger until brown. Add curry paste and fry until fragrant. Add coconut milk and salt and simmer for 30 minutes. 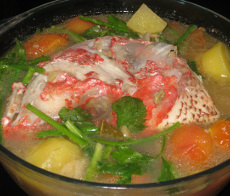 Then add fish, tamarind juice and allow to simmer on medium heat until the fish is cooked. Heat up the cooking oil. Fry 4 slice of onion, 3 cm of galanga and 2 sticks of lemon gras which have been pounded. Add MAK SITI Rendang Powder. 10 Bombay onions (shallots), 5 pieces of Bombay onions to be thinly sliced. Heat cooking oil and fry ginger and onions until golden brown. Add ghee and MAK SITI Kurma Curry Powder paste and stir in until fragrant. Then add chicken (or meat) with water, cover and leave to simmer, stirring occassionally, until the chicken is half-cooked. 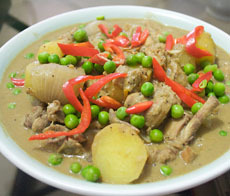 Add coconut milk and potatoes, and cook on a low frame until fully cooked. Finally and tomatoes, large onions, lemon juice and salt to taste. Garnish with spring onions and celery before serving. Fry 10 slices of Bombay onion (shallots) which been sliced until yellow. 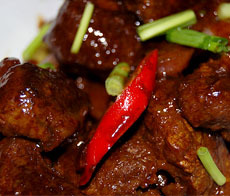 Thereafter, mix the MAK SITI Soy Sauce Meat Spices Powder with a little water until fragrant.Then, add a litter water and add either concentrated or diluted soya sauce according to individual taste. Serve after it is cooked. Add 2 liters of water. 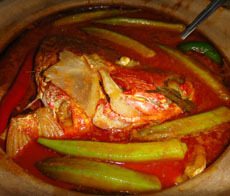 Add MAK SITI Fish Head Soup Spices Powder. Add the fish (approximately 1 kg). 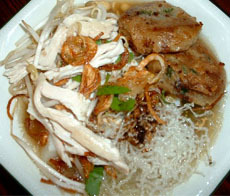 Add MAK SITI Soto Soup. Add meat or chicken (1 kg). 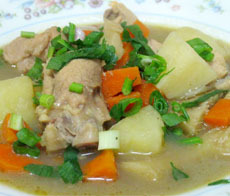 Cook until the meat or chicken becomes soft. About 10 minutes from being cooked, add vegetables according to individual taste. Heat cooking oil and fry garlic and shallots until golden brown. Add MAK SITI Soup Curry Powder paste. Fry until fragrant. Add chicken/meat. Cover until excess water evaporates, stirring occasionally. Then add water and heat until contents are half-cooked. Add salt to taste, reduce heat. Add carrots and potatoes and simmer till fully cooked. For that extra taste, garnish with a sprinkling of fried onions, spring onions and celery. 3-4 pieces of chicken fillet and cut into small pieces. 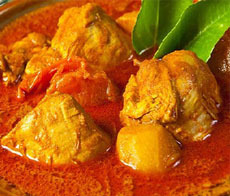 Marinate the chicken fillet with turmeric powder, curry powder and salt. Heat the cooking oil and fry the garlic until golden brown. Add the chicken and fry until slightly crisp and cooked. Add long beans, onion, red pepper and a little bit of white pepper powder. Mix well and ready to serve.